North American Call of Duty is seeing a wave of young and exciting new talent break into the top level of competition. 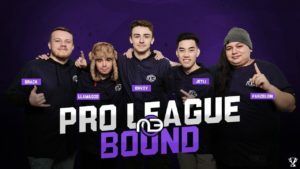 Midnight Esports managed to stamp their authority on the CWL Pro League Qualifier, defeating the likes of 100 Thieves on their way to qualification. The roster consists of Dylan “Envoy” Hannon, Devin “LlamaGod” Tran, Saul “Parzelion “Masse-Siguenza, Carson “Brack” Nerberry and Eric “JetLi” Phan. With many of the Midnight players competing at the top level for the first time, the experience of LlamaGod and Envoy will play an integral part for this team to succeed during the Black Ops 4 season. Envoy excelled during the Advanced Warfare season and had to miss the next two seasons due to being under the age of 18. Ending the 2015 season with a top-six finish at the MLG World Finals alongside current 100 Thieves player Kenny “Kenny” Williams, Envoy was a very exciting talent back then and is still a hot prospect heading into this season. It will certainly be interesting to see if he can rekindle some of his previous form on Black Ops 4. Similar to Envoy, LlamaGod impressed in the advanced movement titles. 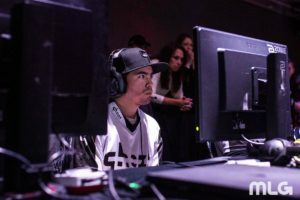 Having competed for the likes of Red Reserve, Cloud 9 and iSolation Esports in previous titles, LlamaGod has seen his fair share of success, winning the Season Three Relegation tournament and EGL Dallas during the Advanced Warfare season. The fast pace of Black Ops 4 will certainly favour his play style along with the new and aggressive newcomers to this team. After successfully qualifying for the CWL Pro League with a flawless win record, the expectations heading into the league are extremely high after beating teams that many would consider to be superior opposition. Despite the high expectation, the names the community aren’t familiar with have still experienced competition on the biggest stages in Call of Duty esports. Both JetLi and Brack narrowly missed out on last season’s world championship whereas Parzelion competed at the event but failed to make it to the Nationwide Arena. However, Black Ops 4 is a totally different game to World War 2. The difference in pace will favour JetLi, Brack and Parzelion who all performed better on the faster, advanced movement games. These three players will only get better as the season progresses meaning it wouldn’t be at all surprising if Midnight continued to upset the more established teams in the league. I think that Midnight Esports have a chance to become one of the top teams in the CWL this season. Their performance at the Pro League Qualifier certainly shocked Pittsburgh Knights and 100 Thieves which comprise of former world champions and some of the most successful players from the past two seasons. In previous years, it is some of the lesser known teams that have been ahead of the curve in terms of adapting to the metagame. Last season, Splyce struggled to adapt to the LAN meta as opposed to the online meta which ultimately cost them a chance at having a successful season. Prior to the Pro League Qualifier, it was the likes of Midnight and other smaller rosters which were using the powerful Mozu pistol whereas some of the top teams were not. Now nearly every player has the pistol equipped which is ideal for close quarter engagements. As the Black Ops 4 season progresses through the year, Midnight will keep improving thanks to regular offline practice against the world’s best teams but they will have to adapt to new strategies that will come to fruition as the season continues.